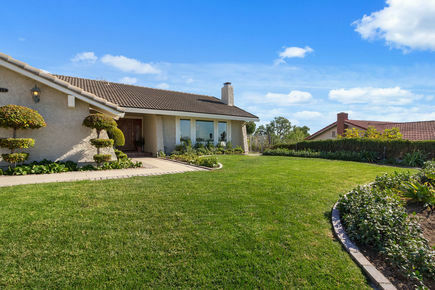 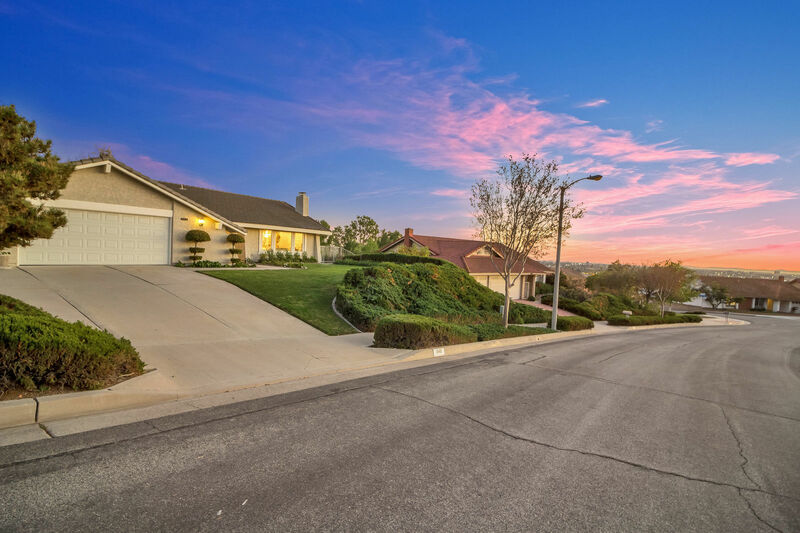 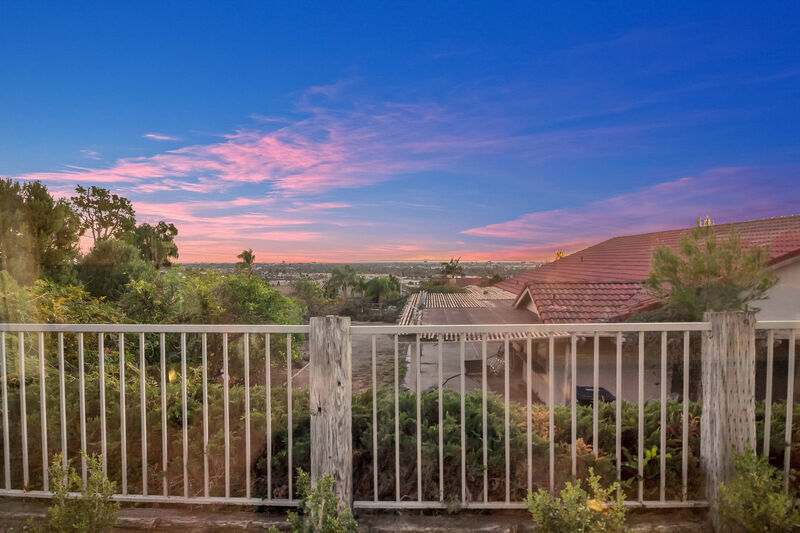 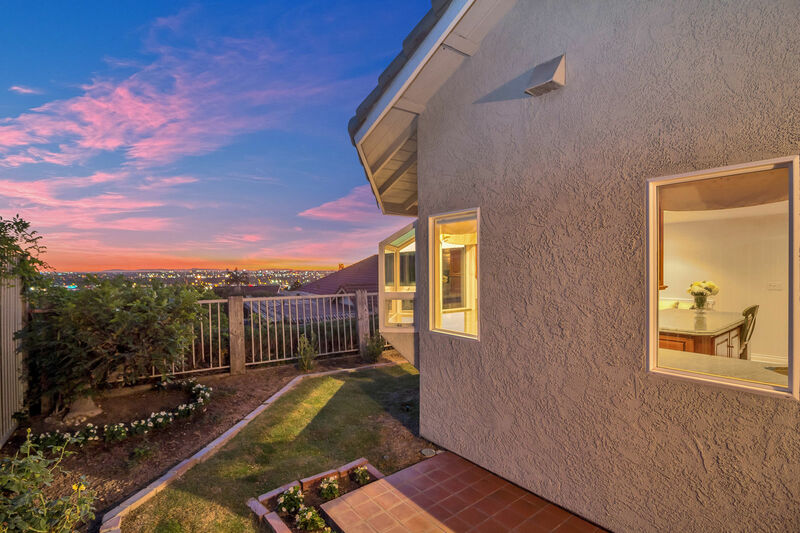 Rare find – A single story home with stunning VIEWS in the Orange Foothills. 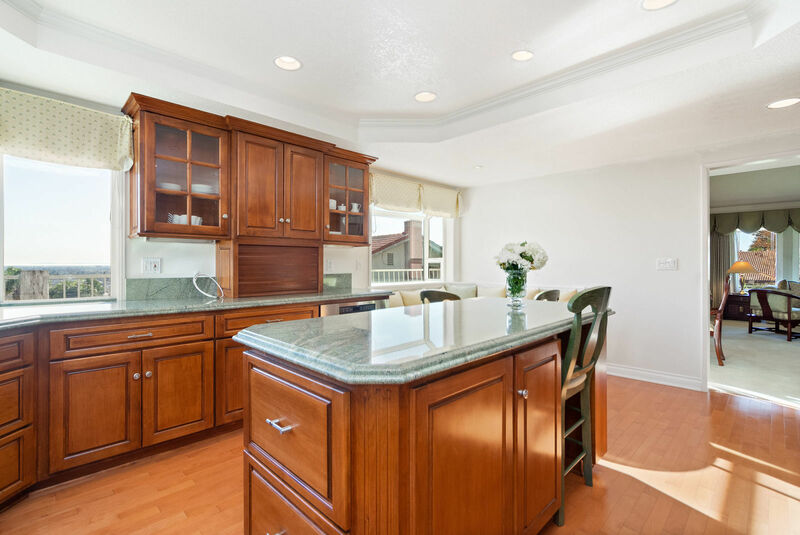 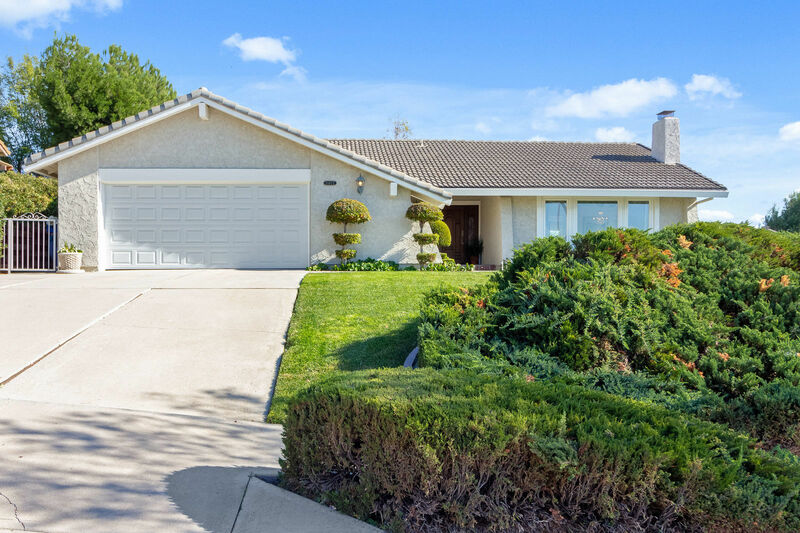 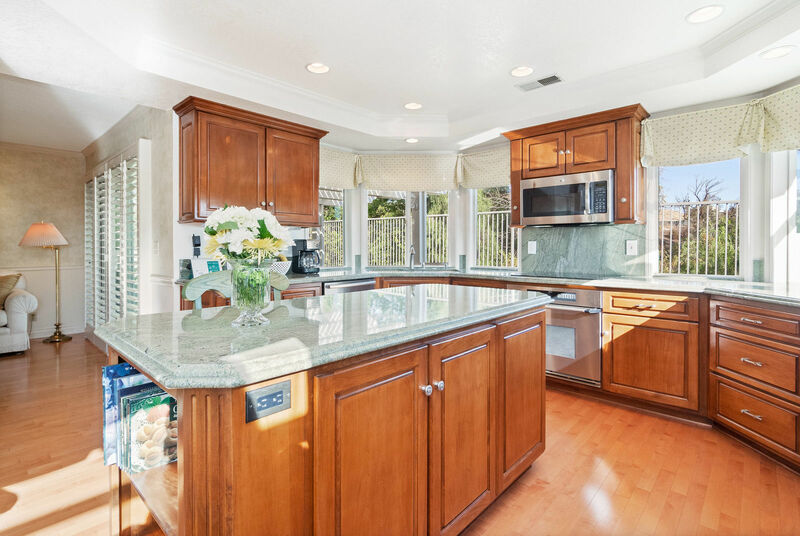 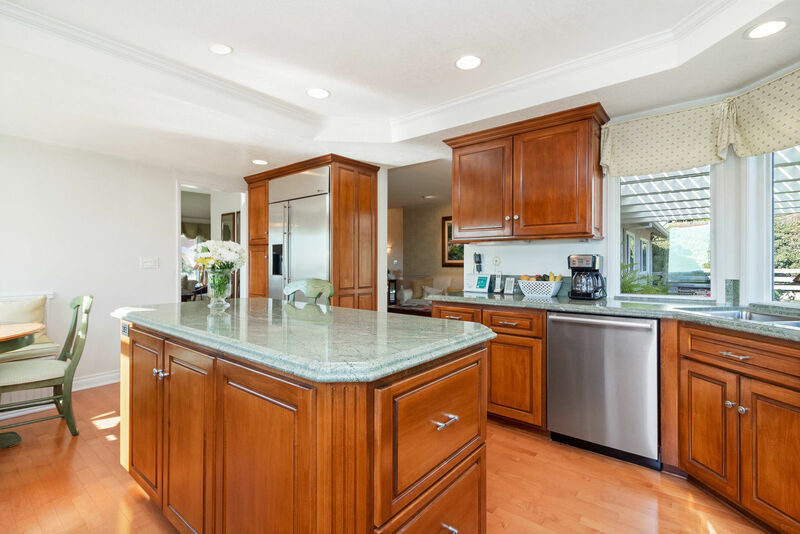 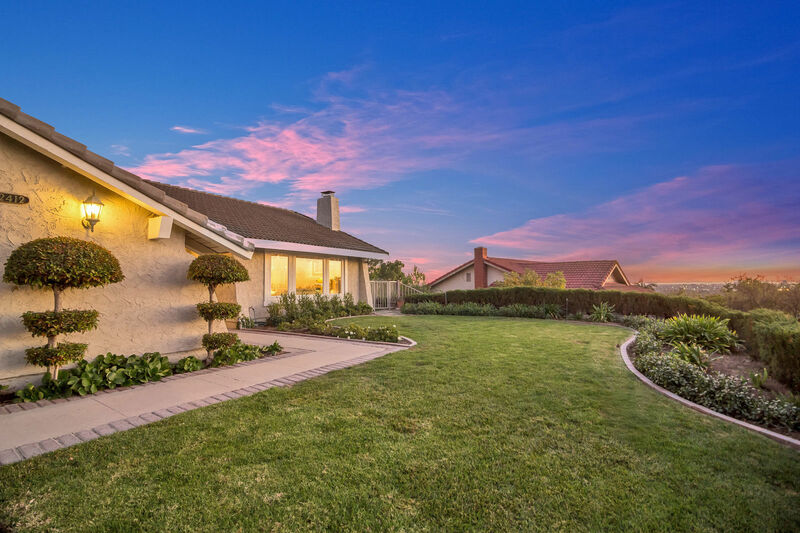 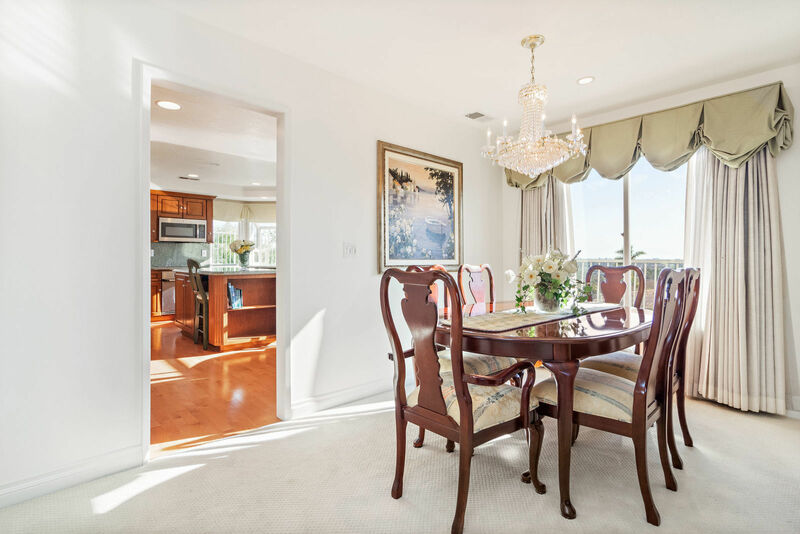 2412 E. Orangeview is meticulously maintained and completely customized with impeccable craftsmanship and taste. 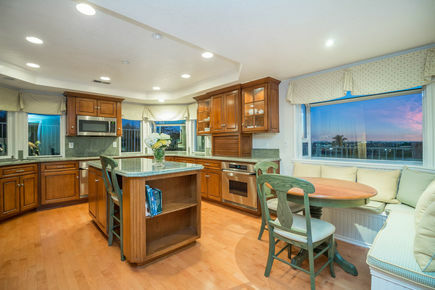 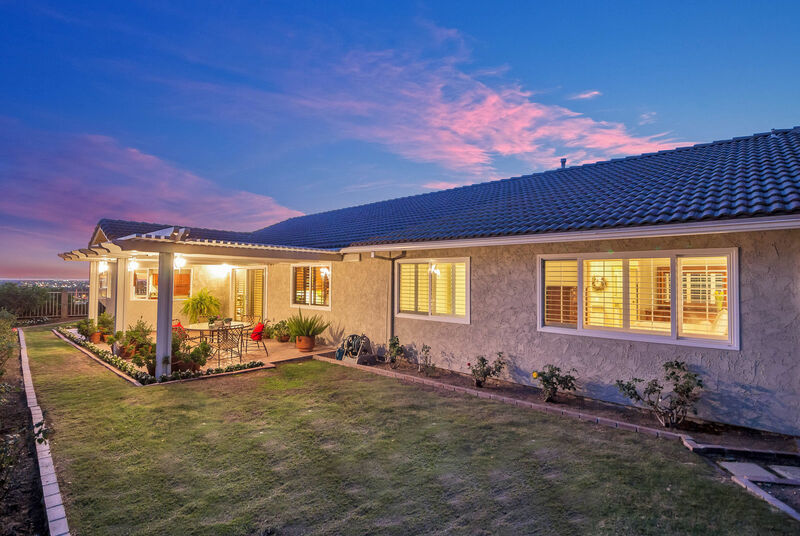 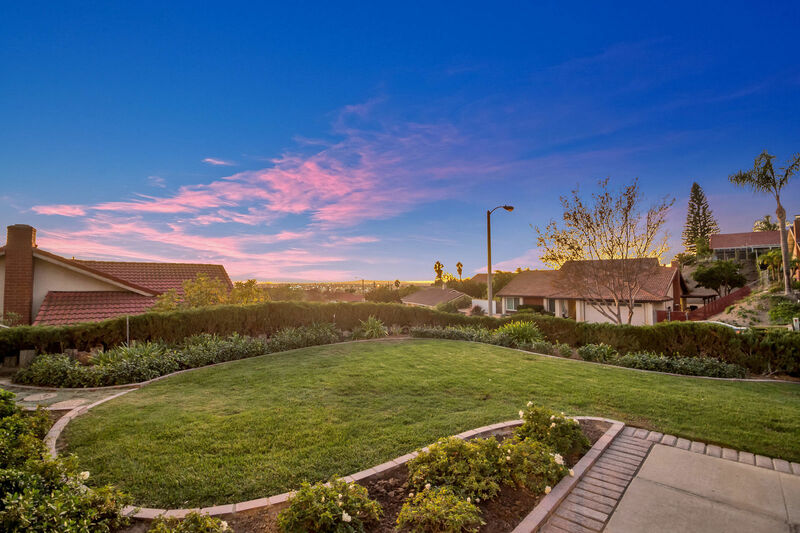 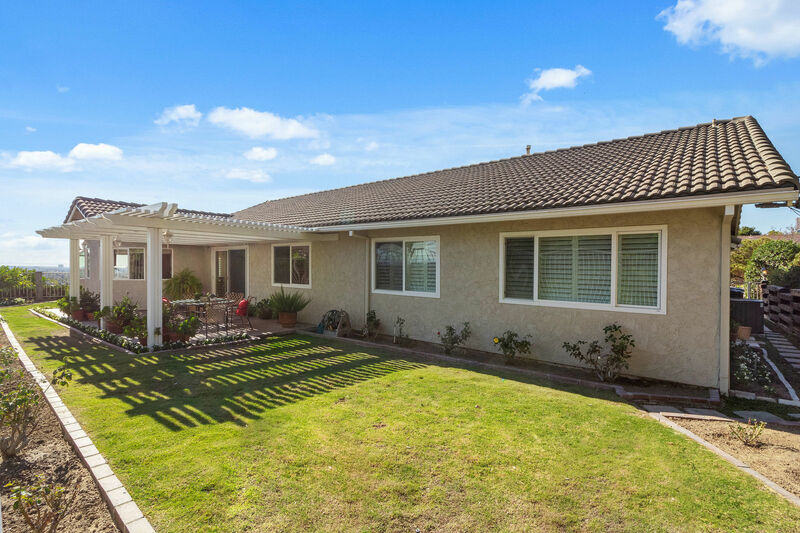 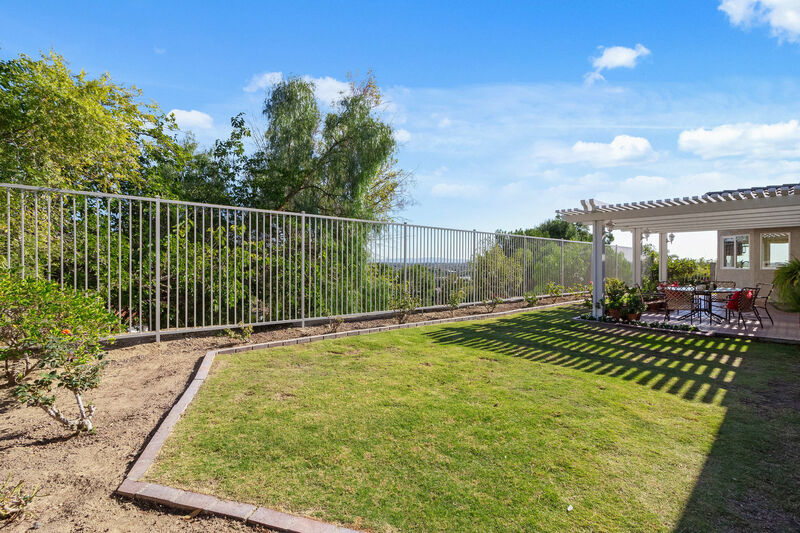 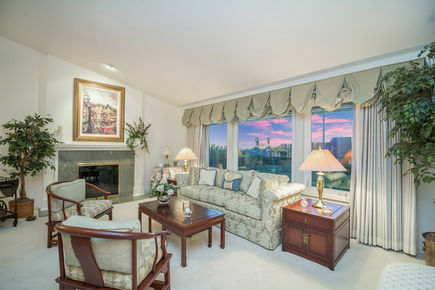 Panoramic views to the ocean, Catalina and incredible city lights - unusual for a single story. 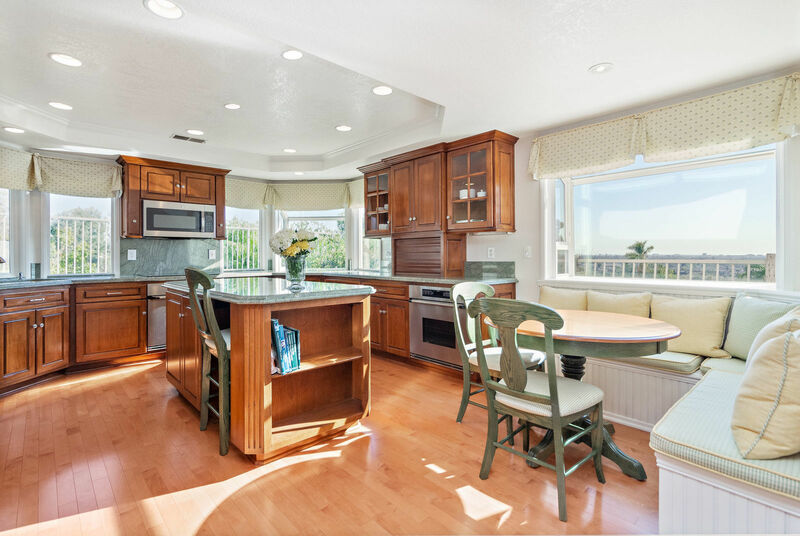 The current owner expanded the kitchen and dining room adding additional square feet creating a light and airy chef’s dream kitchen with two Décor Ovens, Costa Esmeralda Granite, loads of hardwood cabinets, built-in refrigerator, hardwood flooring, recessed lighting, and the city light/ocean views from the west-facing windows. 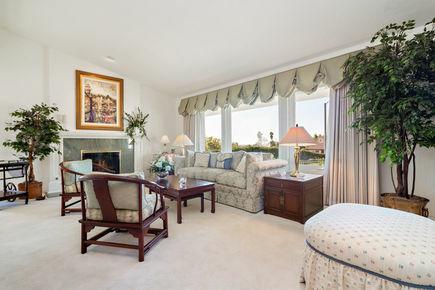 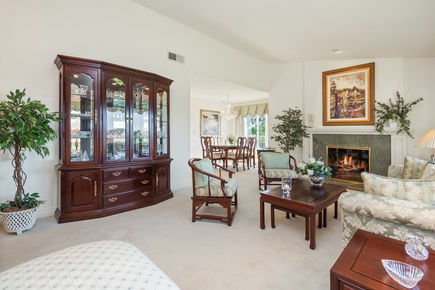 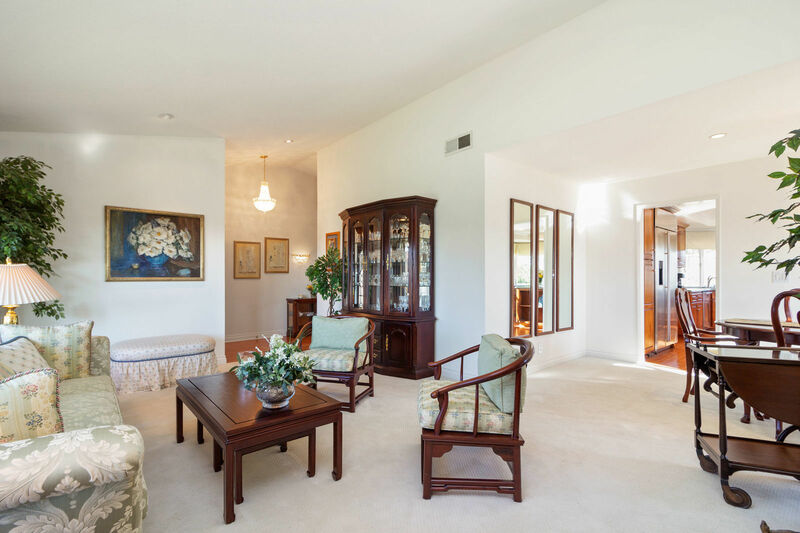 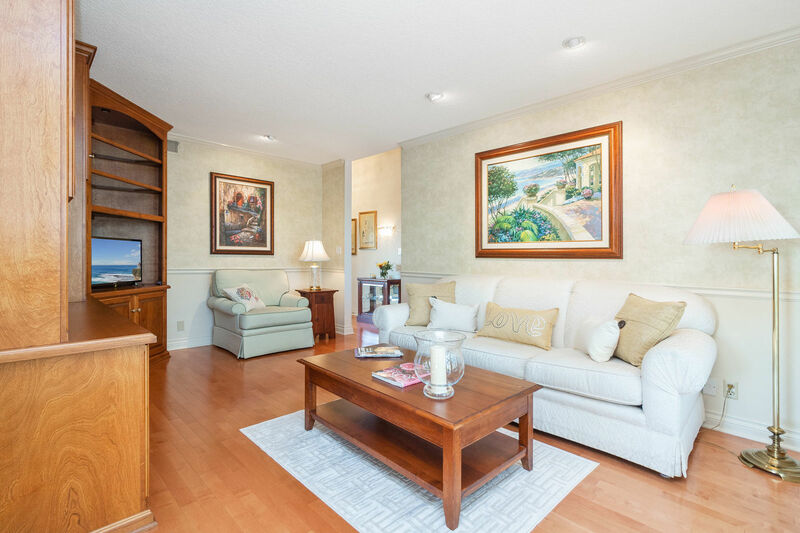 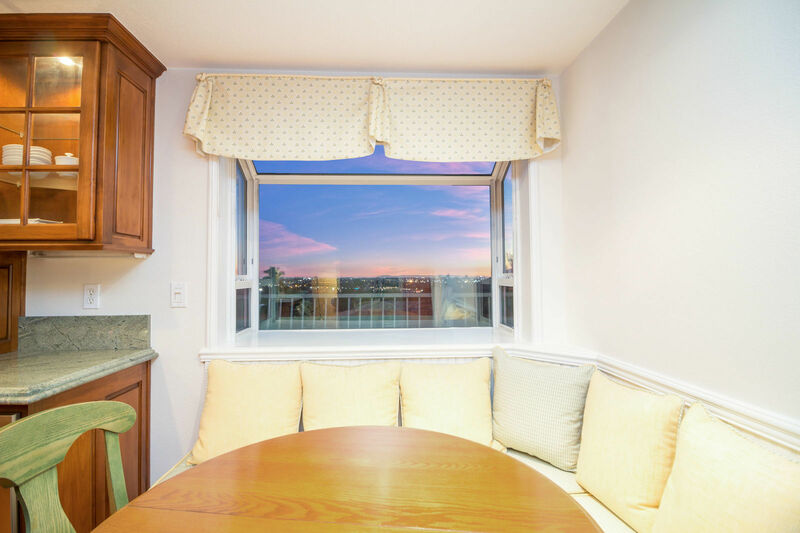 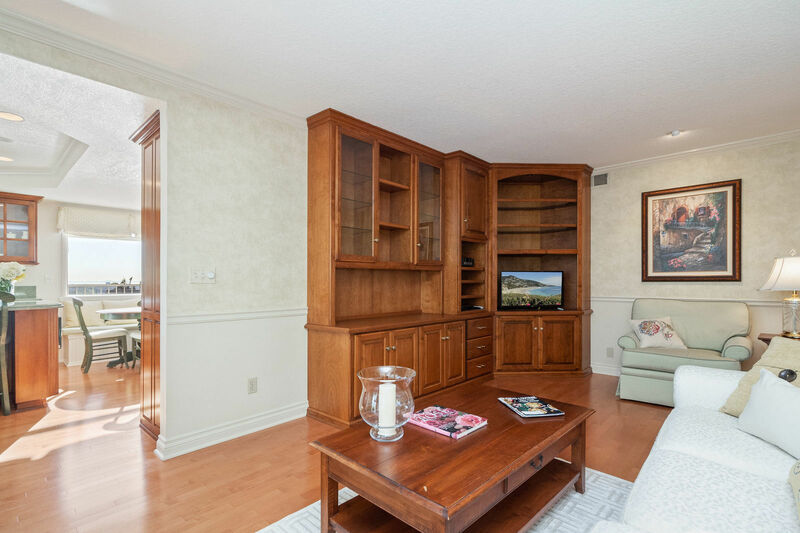 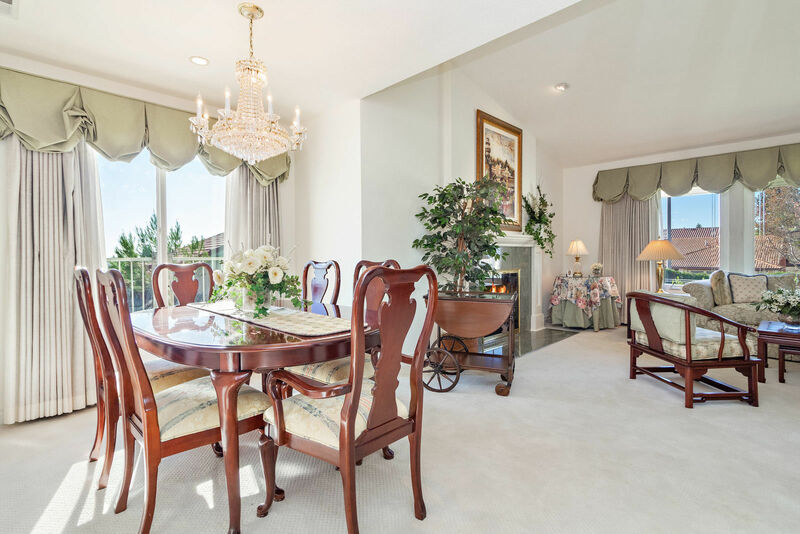 The views can be enjoyed from both the generous living room and formal dining room. 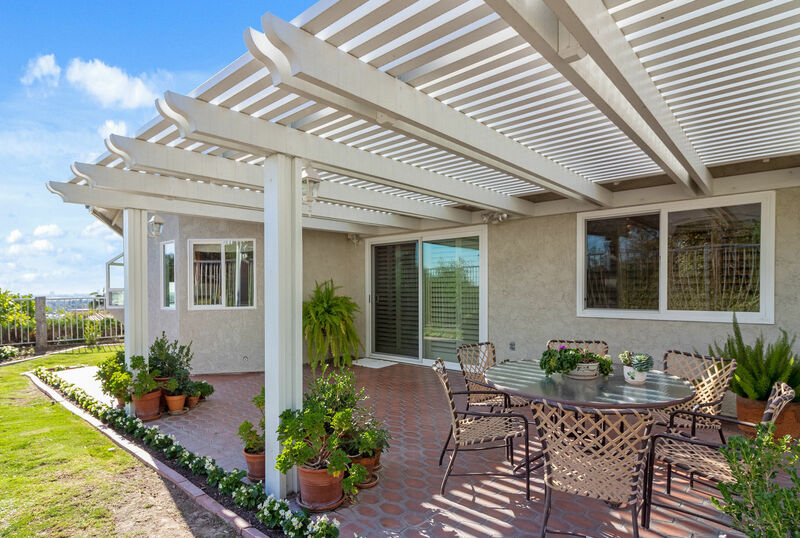 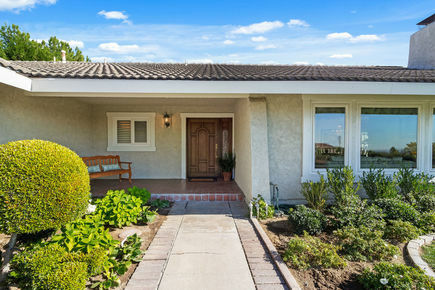 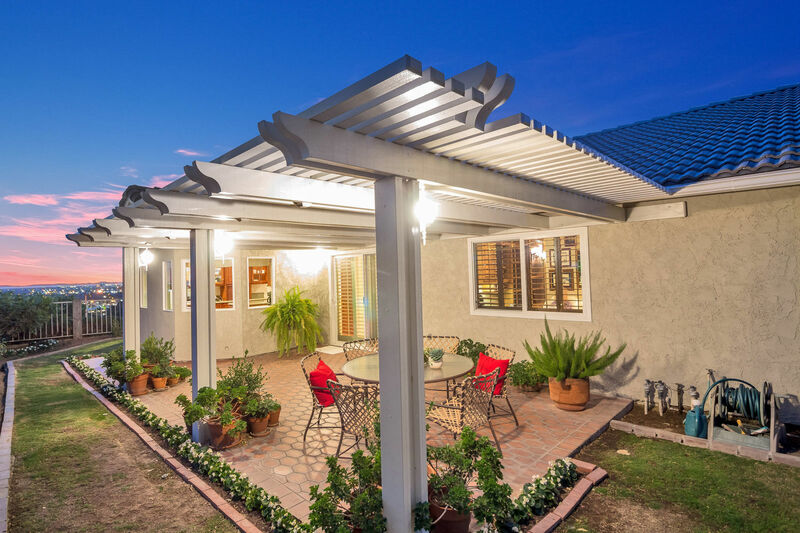 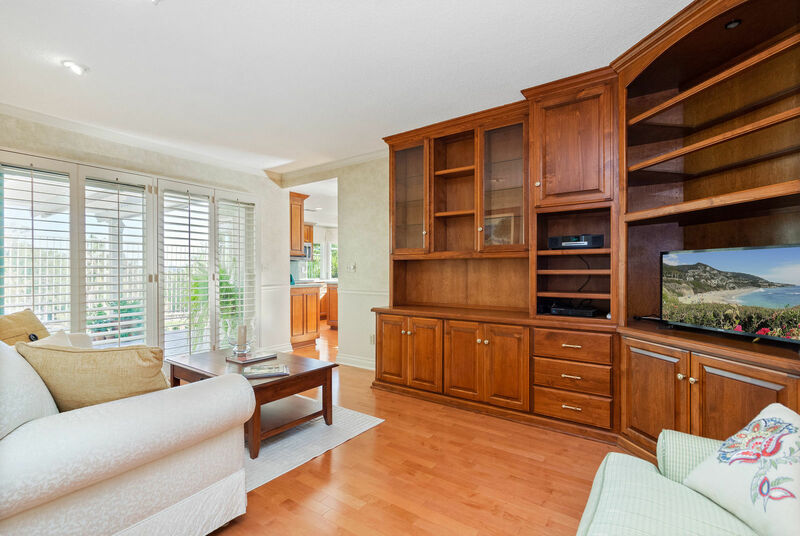 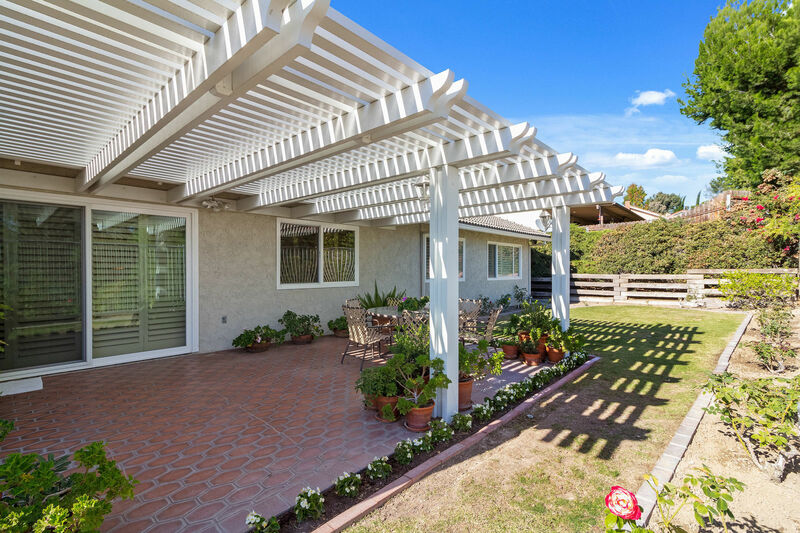 A family room with custom cabinets opens to the covered patio and charming backyard to complete the public space. 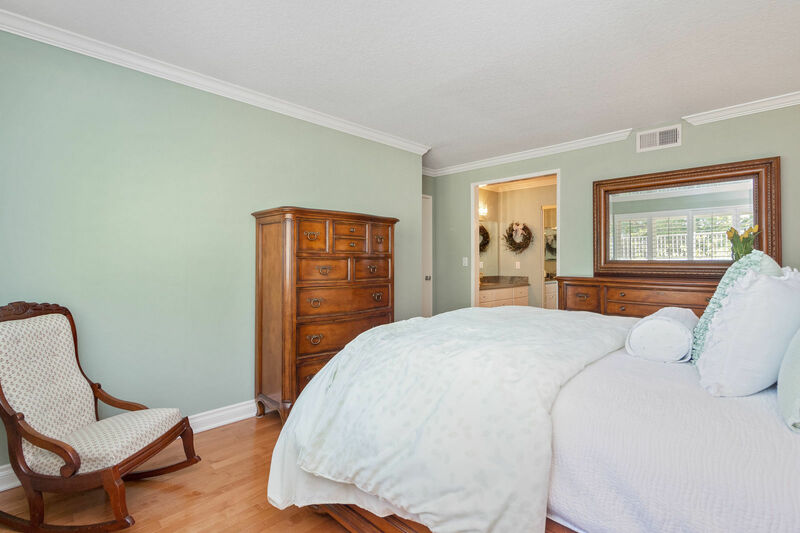 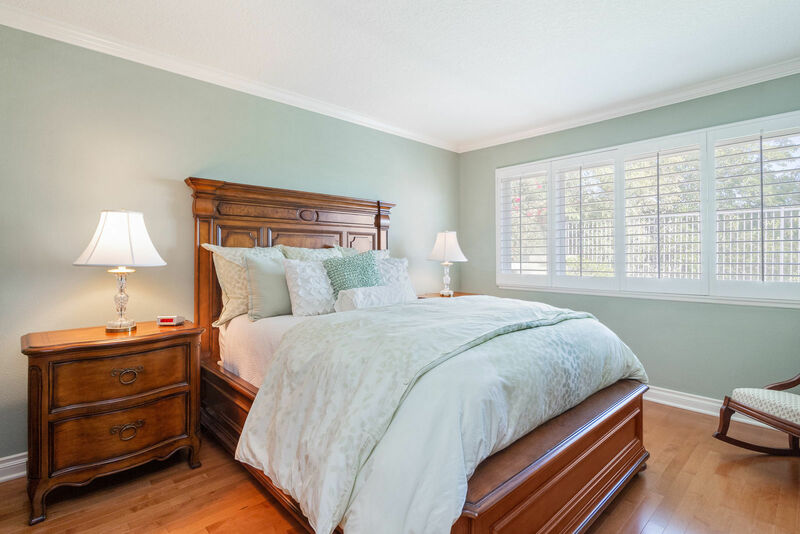 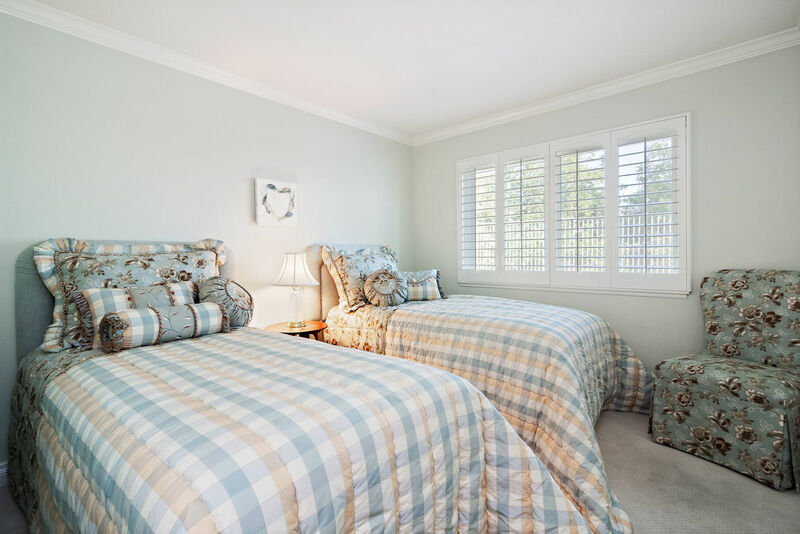 The master suite comes with crown molding and hardwood floors, in addition to the same lovely granite that is used throughout. 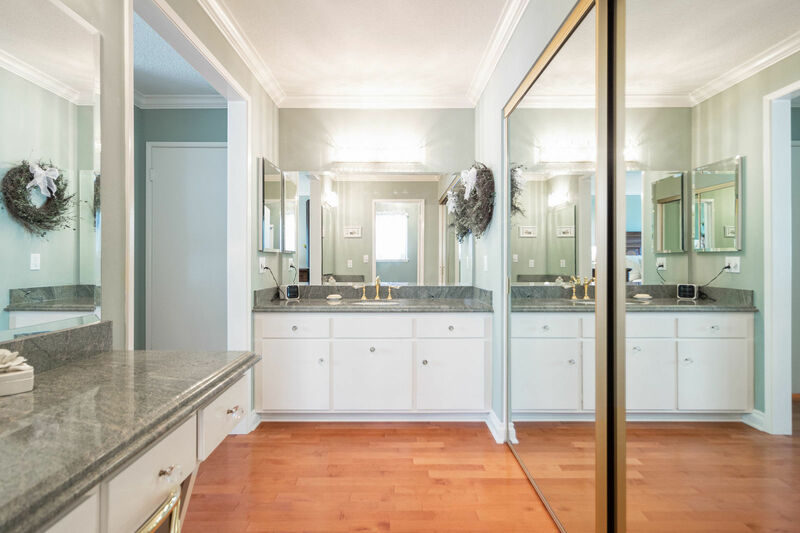 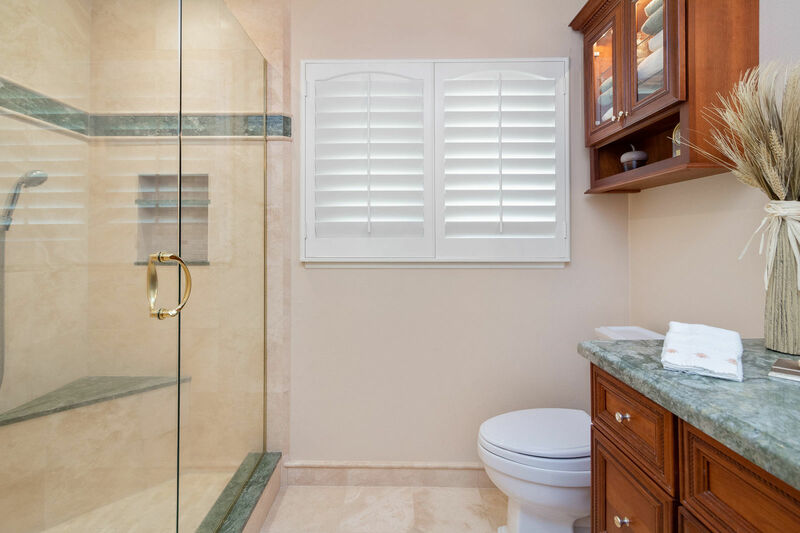 The secondary bath has been completely remodeled using the same hardwood cabinets and Esmeralda Granite that match the kitchen. 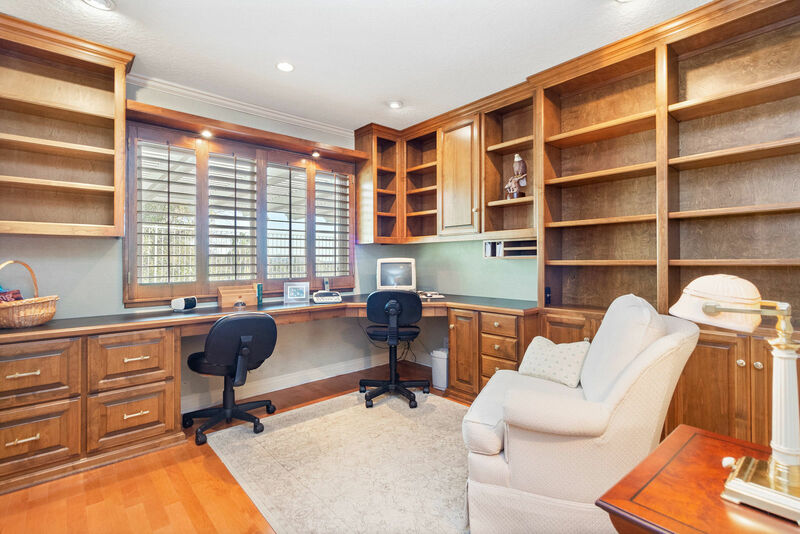 One of the two secondary bedrooms is set up as an office with an abundance of built-in bookshelves/storage and a spacious workstation. 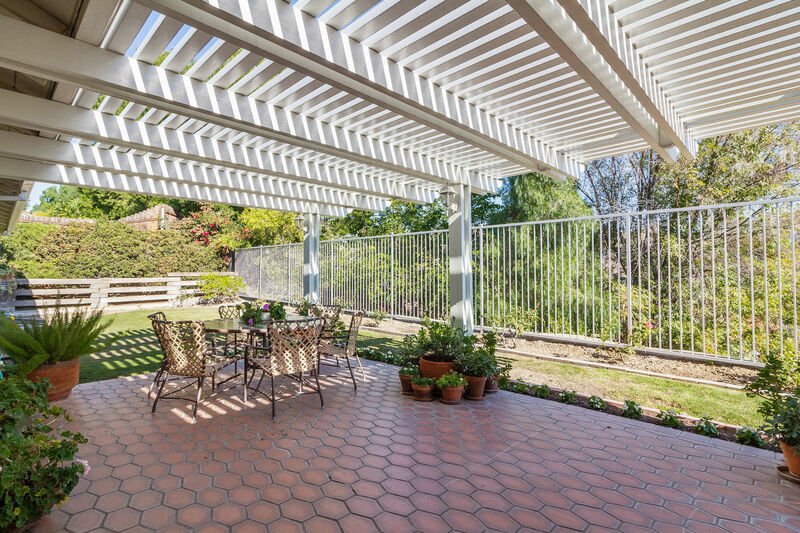 A rear patio is ideal for sunny morning coffee or casual evening meals. 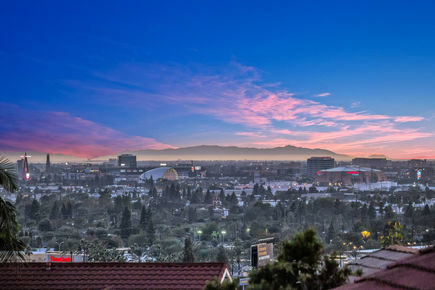 All this is just moments away from freeway access, shopping, and the Orange Plaza with its unique shops and trendy restaurants. 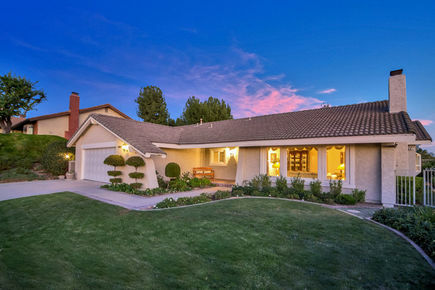 The property is within the Villa Park School District.